A Springfield-based acupuncturist has been arrested and charged with sexually assaulting a patient in his Morris Avenue office late last year, acting Union County Prosecutor Michael A. Monahan and Springfield Police Chief John Cook jointly announced Friday. Edward Raskin, 55, of Chatham Township, Morris County, is charged with second-degree sexual assault and fourth-degree criminal sexual contact. 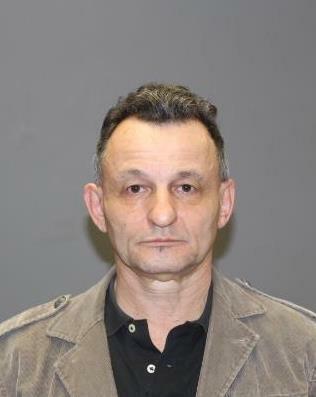 An investigation by the Prosecutor’s Office’s Special Victims Unit and Springfield Police Department determined that the adult victim was sexually assaulted during a scheduled appointment at Spirit Acupuncture on December 30, 2017, according to Unit Supervisor and Assistant Prosecutor Caroline Lawlor, who is prosecuting the case. Raskin turned himself in to police at Springfield Police Department headquarters Thursday afternoon before being taken to Union County Jail pending a first appearance expected to take place today. Raskin is also known to have an office in New York City. Anyone with information about his activities is being urged to contact Springfield Detective Sgt. James Mirabile at 973-912-2242.